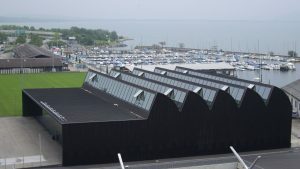 The games of the Women’s World Floorball Championships 2019 in Neuchâtel will be played in two arenas close to the soccer stadium La Maladière. The main arena will be the “Patinoire du Littoral” with a capacity of 4,000 spectators. The current hockey stadium will be transformed into a floorball arena for this event. 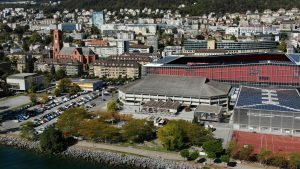 Among others, all the Swiss games as well as the quarter-, semi-finals and the medal games will take place in this arena. The sports arena “La Riveraine” serves as a second hall, where mainly games of the groups C and D as well as placement games will take place. The hall has a capacity for about 700 spectators.